After an interpersonal meltdown led Fear Factory to fracture in two opposing factions, each carried on in their respective projects. 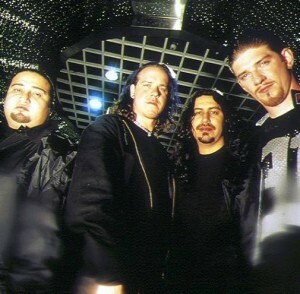 Olde Wolbers, and Herrera regrouped with Bell enrolling Canadian bass guitarist Byron Stroud to continue under the Fear Factory brand name. Dino Cazares meanwhile put together Divine Heresy, a melodic metalcore band with death metal alumni Tim Yeung (Decrepit Birth, Hate Eternal, Aurora Borealis) on drums and journeyman bass guitarist Joe Payne plus an interchangeable frontman. 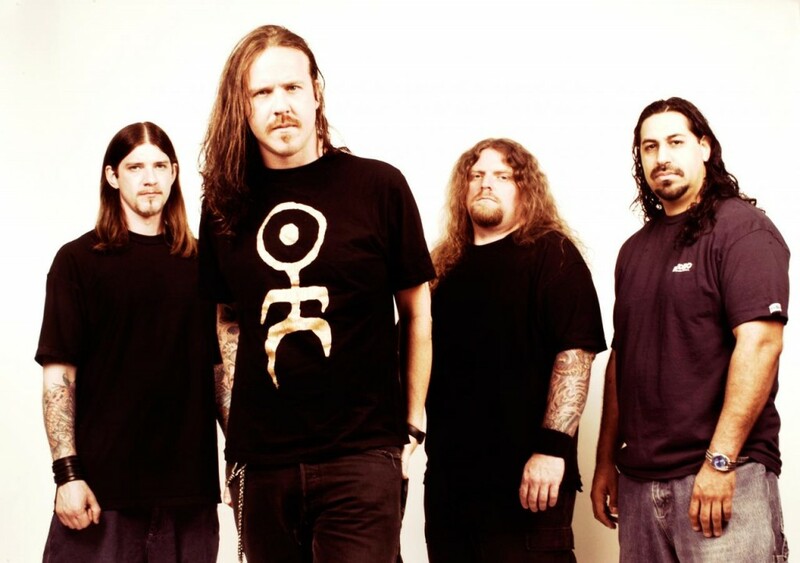 In the interim Fear Factory had inked a new record deal with Liquid 8 Records, which proved to be just as damaging and toxic as the original recording contract and label imprint they finally sought to get away from. “Archetype” was the first of two Cazares-less Fear Factory albums, and it is as good as could be reasonably expected given the difficult and suboptimal situation from which it was conceived. Christian Olde Wolbers moved to the guitar slot vacated by the removal of Dino Cazares. Byron Stroud took Olde Wolbers’ place as bass guitarist. On the whole it is a decent approximation of the “Demanufacture” sound, but fails to recapture the same spirit and conviction that album held. “Archetype” sounds like an imitation rather than a continuation. Freed from the constraints of its heavy-handed sciencefiction concept “Archetype” is far more direct, personal and confrontational in its subject matter. The spirit of “Soul Of A New Machine” looms over “Archetype” in the sense that it is far more loose than its carefully constructed predecessors, but that freedom comes at a price. The record notably loses steam in its second half, and most of its functionally impressive first half can’t hold a candle to the band’s best material of the Roadrunner Records days. That it was the one but last to feature the most identifiable rhythm section of Christian Olde Wolbers (guitars) and Raymond Herrera (drums) speaks volumes of how far the band had fallen to the wayside in order to remain marketable and musically relevant. Most of the lyrics are less sciencefiction oriented and far more personal. Specifically, the band’s soured relationship with its former contractor Roadrunner Records is subject of several songs (‘Slave Labor’, ‘Corporate Cloning’, ‘Bite the Hand That Bleeds’), as is the fall-out from the highly publicized and acrimonious split with Dino Cazares (‘Cyber Waste’, ‘Archetype’). Other recurring themes are condemnations of religion, war and corporatism. It doesn’t help that “Archetype” is plagued by an inherent sense of duality. On the one hand it wants to stay in favor with the crowds that latched onto it post-“Soul Of A New Machine” yet its increased density and overall level of aggression at least suggests that the band intends to explore harsher realms again. The lack of a unifying vision allows Bell and company to explore any subject they wish, but it is detrimental to the overall pacing. 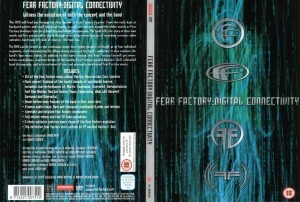 Past Fear Factory records worked around a conceptual template, and each of the cuts was written with a predetermined objective in mind. “Archetype” has no such template, and this is particularly notable in its second half as it is littered with a number of aimless groove numbers that effectively dampen the experience. Olde Wolbers does a commendable job in imitating Cazares’ rhythm-only staccato, and Herrera does the best with what he is given. The entire second half of the album, and some of the gentler moments expose an important difference. Instead of being rooted in forms of extreme metal, they instead sound like amped up alternative rock chords. When the band then chooses to cover the Nirvana track ‘School’ (from its often-ignored “Bleach” debut record) it is rather telling as to where Olde Wolbers’ true interests lie next to his established love for all things hiphop. Especially the soft bookends of the title track, ‘Default Judgment’ or the entirety of the power ballad ‘Bite the Hand That Bleeds’ should make this abundantly clear. Herrera’s drum patterns are mechanical as they always were, but they are far less complicated compared to past works and consist of straight up pop/rock beats elsewhere on the album. The keyboards and studio effects by John Bechdel fit the songs well, but don’t come close to matching Fulber’s best work. The artwork by Torsten Gebhardt fits the spirit of the record, but it hardly matches up to the high standards set by Dave McKean in the band’s classic trio of conceptual records. As per tradition the band opted to track the album at a different facility than before. 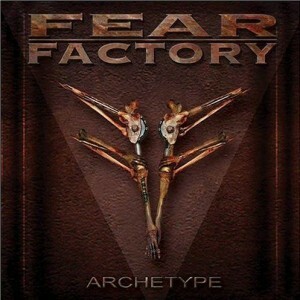 For “Archetype” Fear Factory recorded at Rumbo Recorders in Lagona Park, California with Ken Marshall producing. After the pristinely produced Cazares efforts “Archetype” sounds, for the lack of a better term, honest and crunchy. Past records tended to be on the overproduced end of the spectrum, and if there’s one thing to say about “Archetype” it is that it’s honest about its intentions. Gone is the overproduction, gone is the gloss – the record sounds closer to an actual thrash/groove metal record than the band had sounded in a long time. By abandoning its sciencefiction narrative (at least temporarily) it lit a fire under the remaining trio of Bell, Olde Wolbers and Herrera to prove that they were still relevant to the genre, and its fractured fanbase after the Cazares debacle. In order to give the album the proper market push promotional music videos were shot for ‘Cyber Waste’, ‘Archetype’ and ‘Bite the Hand That Bleeds’. Alas its new label partner Liquid 8 Records would sabotage the band’s reformation just a year later. That the label folded shortly after its cooperation with the band ceased seems only just in hindsight. “Archetype” doesn’t so much revitalize the band’s sound as it cements that the trio can hold its own even with its central songwriting partner exiled. After the cinematic exercise that was “Obsolete” and the poppy vapidness of “Digimortal”, “Archetype” was a much needed reality check that had the band going back to basics. Competently written and produced, “Archetype” formed a workable template for the reconfigured unit. The goodwill generated by this record would be shortlived as its successor would tarnish the band’s somewhat repaired reputation, which eventually led to the band’s second split. It isn’t the best effort from the band by a long shot, but given the difficult circumstances from which it was conceived at least makes it a reliable, if lukewarm affair. In many ways it is the first non-canonical Fear Factory release, despite rekindling the band’s sense of purpose and direction. The very matter-of-fact presentation, and loose thematic of the band’s sudden self-awareness of having spawned a subgenre make it a confused but halfway efficient effort that scrapes by on more than just its disarming honesty. As with the Sepultura DVD, this one is also a pseudo-documentary detailing the band’s small beginnings as a different sounding death metal act and works its way up chronologically to their then-new record “Digimortal”. In comparison to the Sepultura DVD it is clear that some effort was put into the overall design, and presentation. Instead of being one unabridged movie the DVD offers the possibility to view each of the band’s four album segments separately. Additionally there’s a load of bonus material in order to properly pad out the contents, and call it a “fan package”. The same problem that marred the “Chaos DVD” resurfaces here, as once again the actual content is on the meager side. While the DVD doesn’t lie about rare concert footage of the band’s early days, it is limited to a handful of songs. There’s no actual full-blown concert recording to be had, and the entire thing plays out as a pseudo-documentary. The interviews segments are brief, and don’t offer up a whole lot of useful information to novice and diehard alike. Each one of the four Roadrunner albums is represented by a unique logo sigil and it is accompanied by its corresponding promotional music video(s) and a swath of live footage, usually of incredibly varying quality in both image and sound. The chapters consist of a tiny “making-of” segment, the band talking about the songs/album in question, live footage and the promo video(s) for said album. Things are kept concise and never go into much detail, or length, so the pace is kept high. None of it is very interesting and since each album is only explored superficially (at best) the documentary on barely scratches the surface of each of its subjects. Fans wanting to learn something about the album will be left none the wiser on its historical context or its cultural significance. It’s not like we were expecting a “Classic Album” type dissection of the records here, but some kind of depth would have been appreciated. The DVD does neither, and unsurprisingly, it is exactly as shallow and vapid as you would expect. The entire early history of the band, including its trio of forgotten bassists (one of whom appears in the Dynamo 1996 footage) and the aborted “Concrete” sessions, is glossed over and brushed aside in an attempt to move faster to “Demanufacture”, the band’s breakout record for the Roadrunner Records label. Likewise, “Obsolete” takes a chunk of the running time, but the band’s then-recent “Digimortal” gets a more dedicated treatment compared to its arguably much stronger predecessor. Looking at it as a “fan package” the additional content includes a meager 8 audio tracks of previously unreleased b-sides and remixes. These tracks were later reproduced in full on the “Hatefiles” compilation two years down the line during the band’s original breakup. 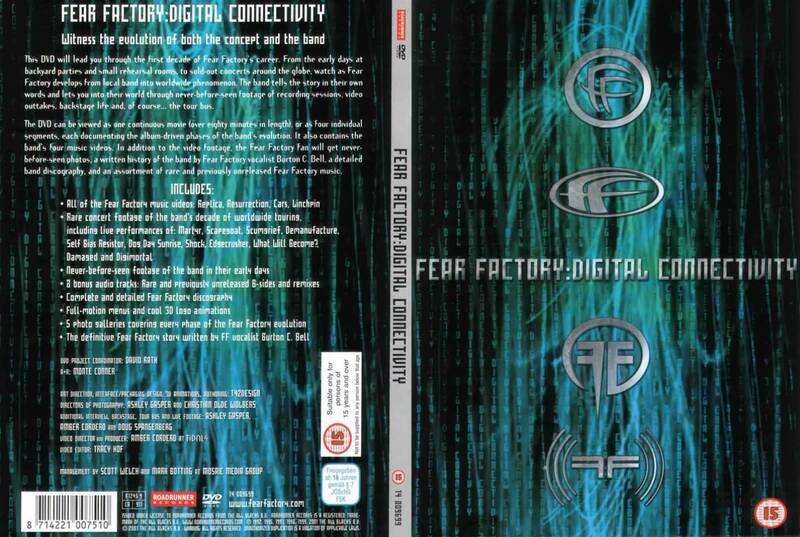 Other bonus content includes a complete Fear Factory discography, full motion menus and 3D logo animations along with a band biography written by Bell and 5 photo galleries covering each phase of Fear Factory’s stint with Roadrunner Records. “Digital Connectivity” is a product of its time, and a label imprint in transition. What should have been an in-depth examination of one of the label’s top sellers is reduced to a home video collection. Each album of the Roadrunner Records era is represented, but none of it is ever detailed in any meaningful way. Each of the corresponding music videos are present per segment, but these were made largely obsolete in the advent of video services such as YouTube. In between these there are various, serious and tongue-in-cheek, interviews – but no new information can be gleaned from them because of their brevity. A lot of the interview segments appear improvised, or as an afterthought. Finally, There’s a swath of live footage of varying image and sound quality through out the band’s various treks across the globe, but none of it quite captures the intensity of a full-blown, professionally shot live recording. The DVD definitely has all the makings of a “fan package” on the surface level, but upon closer scrutiny the amount of actual content is on the thin side. In all there was a lot of unrealized potential with this foray into visual media, and whether label or band was to blame remains largely irrelevant. “Digital Connectivity”, like a lot of metal DVDs, fixates on style over substance, and that is a pity.